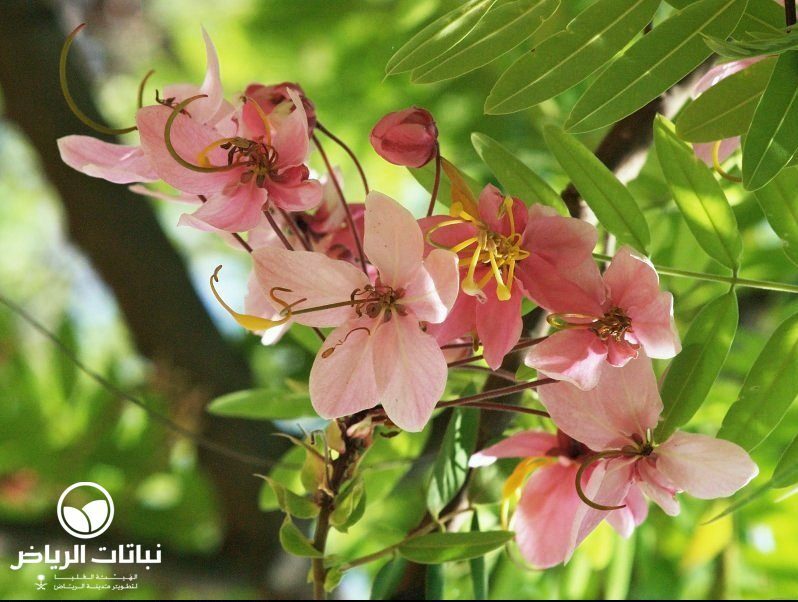 The Apple Blossom Shower, or khiyar baladi in Arabic, is a deciduous, flat-topped tree with pinnate leaves. 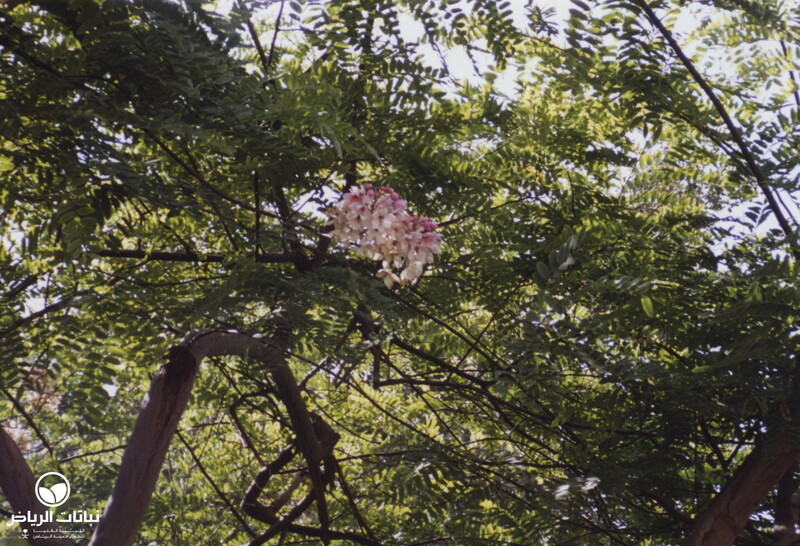 It grows comparatively quickly to 15 metres or more, and has a canopy of a similar size. The branches droop gracefully and may even sweep the ground. 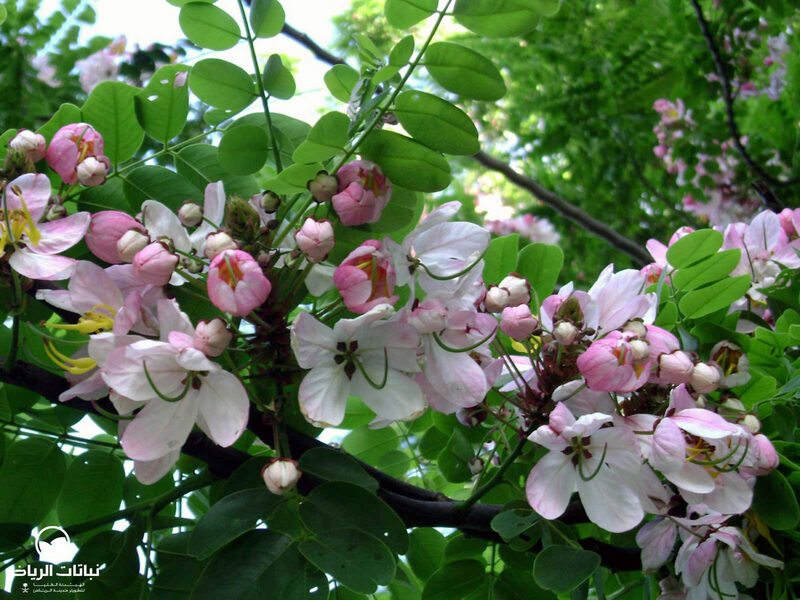 Oblong leaflets are some 5 cm long and arranged even-pinnate on midribs of up to 70 cm in length. 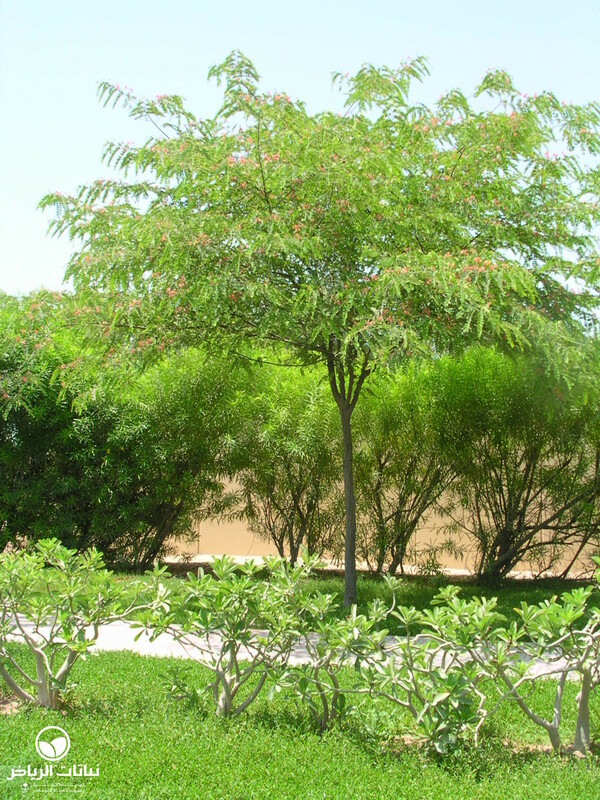 It is not easy to trace back the natural area of distribution, because this tree has long been planted for ornamental purposes. Java and Sumatra would appear to be their native islands. 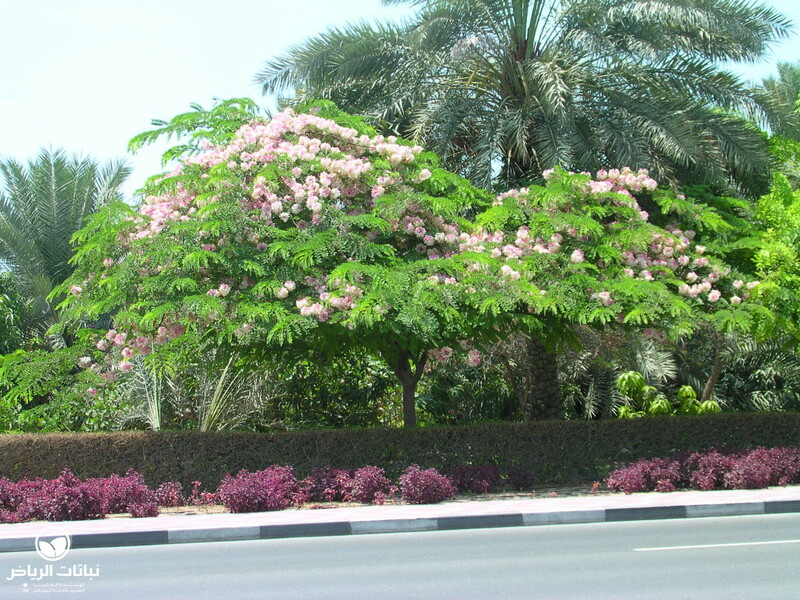 Not often seen in Arriyadh, where frosts may lead to severe damage, their natural habitat ranges from evergreen or deciduous forests to savannah-like habitats. 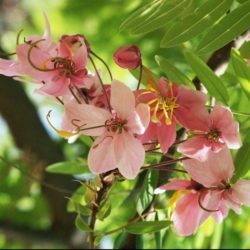 For a period of about six weeks, showy pink, slightly fragrant flowers appear on racemes in spring while the twigs are still bare. 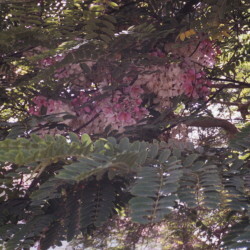 Numerous flat seeds mature in pods that may reach 60 cm in length. 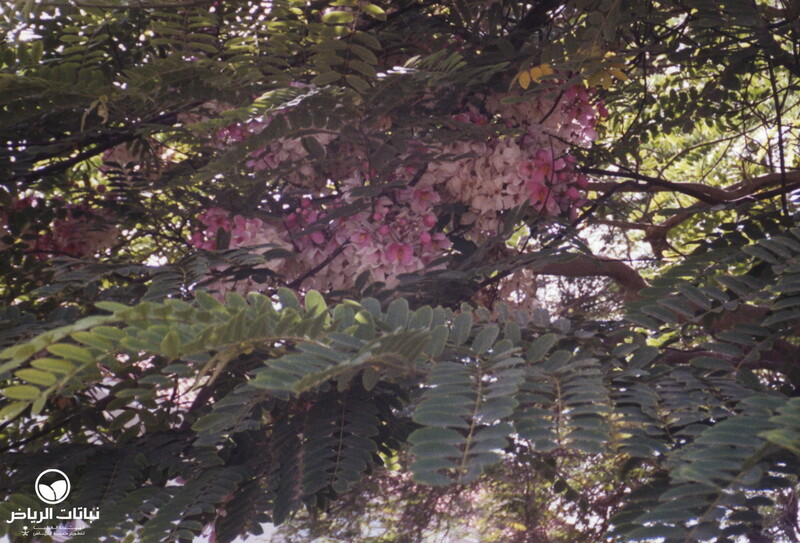 This tree may naturalise where its requirements are met. Propagation is common by scarified seeds. They may also be used for medicinal purposes as a laxative, but can also cause emesis. Its reddish wood may serve for construction purposes. 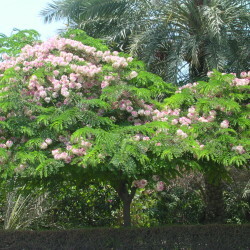 A number of subspecies are cultivated in tropical climates. 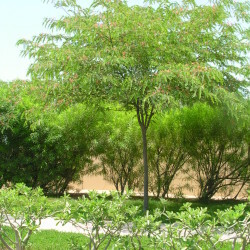 Cassia javanica ssp. 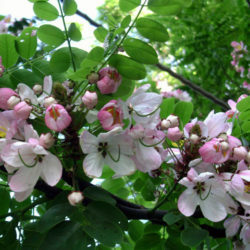 agnes is a highly ornamental subspecies with larger flowers. 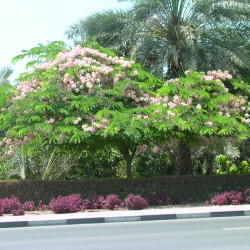 It is suitable for urban areas and may grow along roads as long as the pods do not litter trafficked areas. 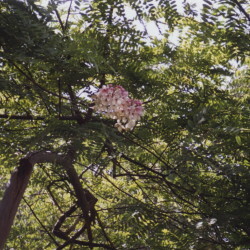 Wind exposure may damage the brittle branches. 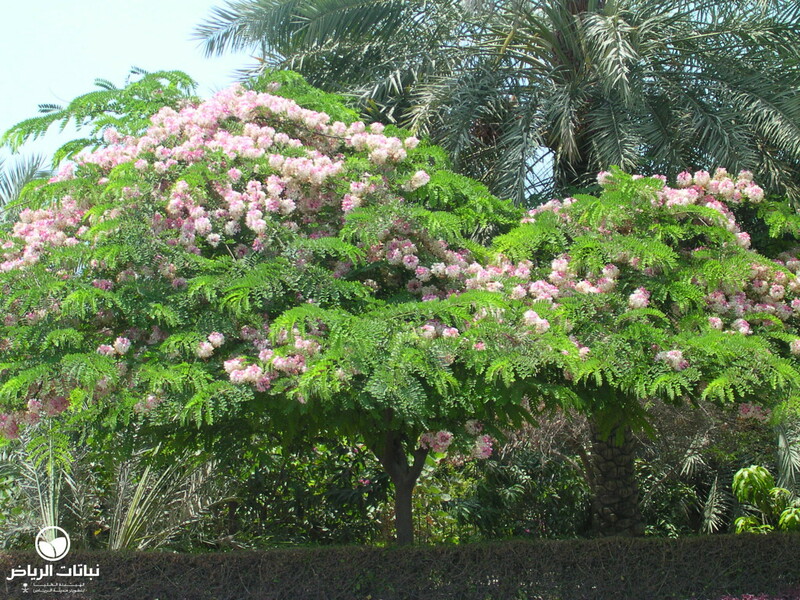 Chlorosis often occurs as a result of iron deficiency. Pruning is best done at the end of spring, after flowering.